Spectacular 180 degree unobstructed view home. You can see from santa monica, across downtown l. A. And east towards corona. Disneyland fireworks can be seen every night. 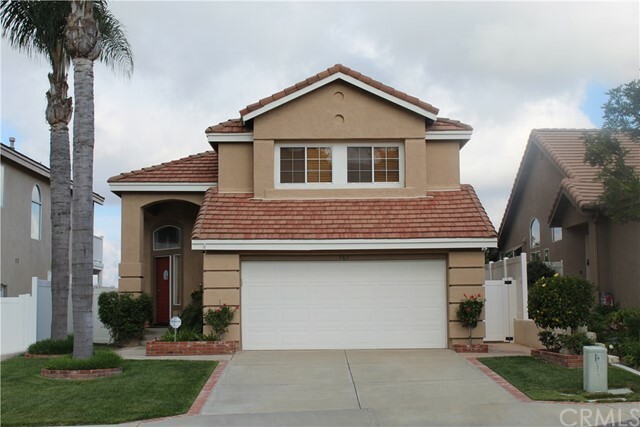 This sought after development is in a desirable area, on a cul de sac street nestled in the heart of anaheim hills. A gorgeous three bedroom, two and a half bath home features new wood blinds throughout, new carpet, remodeled master bath with duel sinks and separate soaking tub and shower. Enjoy a generously sized master bedroom with a beautiful new balcony. There is an updated kitchen with stainless appliances. Living room boasts soaring cathedral ceilings with updated fireplace. Entertain in the rear yard as an extension of the inside with a weatherproof custom patio. Relax in the new pool and spa featuring pebble tec, baja pool shelf, stacked stone and water sheers or cozy up near the fire pit. There is new vinyl fencing around the side perimeter and new ac and furnace. The garage comes with overhead storage racks and built in storage cabinets. This amazing residence is just minutes away from schools, shopping, dining and entertainment. For more information or make an appointment to see property ID PW19083635.